FOLK YOU, Brooklyn! Check out the 2019 Brooklyn Folk Festival, this weekend! Take a bite out of this gritty city--trust me, it tastes better than it sounds! New Tours have been posted through the year--join me, won't you? Spring Tastes Better This Year! Spring Tour is Cheaper AND Improved! Groundhog's Got Me Thinking of Spring! Broken bones make it harder for me to run a walking food tour business, but not impossible! WINTER BE GONE! Your Foodie Weekend: 1st Edition! I figured it's about time I start making some weekly posts. Obviously, this one addresses the end of the week...or, as commoners call it, THE WEEKEND! Now, for someone who's been in hospitality for years, the weekend doesn't always mean the same thing to me that it does to most. And being a small business owner, well...it means I have even less time that's just to myself. But I do often get to enjoy some good weekend fun--I am my own boss after all! And this weekend there's SOO much going on in this city that it's going to be very difficult to get any work done! So what are your options? First up is the one that everyone's talking about: The GREAT GOOGAMOOGA! It sounds like something a child made up...and perhaps it is. It's a weekend full of events including music and lots of food and drinks all set in a big park. In Brooklyn. This is the second year for the (previously over-) ambitious festival, and here's hoping that the organizers and participants have all learned from mistakes of the past! Last year, the lines were unbearably long and vendors ran out of food rather early on, as they were oversold on the event, and so the hoards took to twitter and the critics and attendees revolted. Some lesser folks might be discouraged from attempting this feat once more...ever again, let alone just one year later. But not these guys! They apologized profusely for their mistakes, and those who were there, while they were likely not full at the end of the day, were happy with the selection of vendors, events and music that played. So the organizers have vowed that they've learned from the errors of last year and promise a much better weekend of fun for all who give them a second chance! The kickoff starts tomorrow, 5/17 and runs through Sunday, 5/19 in Prospect Park. You can get your tickets and see more information on the GoogaMooga website. Now, if the sound of the sunshine, sweat, and the great Brooklyn outdoors don't seem up your alley there's plenty more going on! Let's bring it up a notch in the class-factor and look to the annual Manhattan Cocktail Classic. Food and drink outdoors?! Unless you're in the Hamptons, you're NOT interested! And with all of the Great Gatsby hoopla, you'd be a fool to spend your time any other way than the way of the uppercrust, right?! Well celebrate the libations of today, yesterday AND tomorrow, all concocted by some truly masterful bartenders! There are so many events going on for the Manhattan Cocktail Classic that they couldn't fit it all into one weekend! Opening Night Gala will take place tomorrow evening, with various events around the city to take place through Tuesday, the 21st! Take that Googa! But seriously, folks go to their site and check out all the events and information on how to get tickets, and if you wanna bring me along...well you know how to reach me! Now, in between, before and during all of that drinking you're going to want some food to fill your belly. Do those other events have that, sure! But so does this one...and plus you know there's rich and famous people with children who will probably not be at the Cocktail Classic, BUT they'll be pounding the pavement of Tribeca! 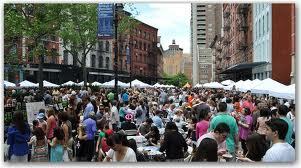 Did I mention there's only ONE day that you can enjoy the Taste of Tribeca? How about the fact that it's all to raise money for Tribeca's public schools? Ah. OK, well now you know--those things are both true! The event takes place on Saturday, from 11:30am to 3pm. You will find it on Duane Street (between Greenwich & Hudson). There's several events for kids to enjoy while you're busy stuffing your face with food from some of the 70 participating restaurants from the area! 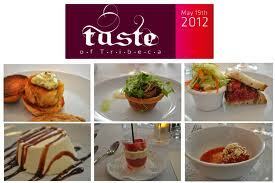 Check out the schedule and various ticket options at the Taste of Tribeca site. For this one, you should get there early, but I wouldn't imagine that there will be any time that it's empty...we're talking about Tribeca during the brunch rush! There will be strollers! So you wanna keep it to the street, but you were thinking even more casual and a little further north? 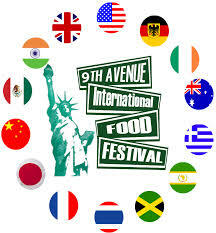 We can totally do that...it's the annual 9th Avenue International Food Festival after all! That picture looks VERY dramatic, but that's not even a mile of food guys! Not even a mile! On BOTH Saturday & Sunday, the 18th and 19th you can make your way north or south along 9th Ave, from 42nd to 57th Streets and you will be accosted by a variety of worldly scents! The festival opens up at 12 noon and ends at 5pm, both days. And the best part? 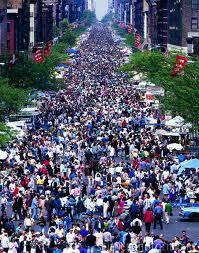 It's just a big ol street fair, guys, so it's FREE to enter and the food is nice and cheap! YAY! We love that, right?! With so many choices you might feel overwhelmed, but remember you can walk up and down those blocks as many times as you need to burn those extra calories! I wouldn't miss it, but you might be stuck in Brooklyn, so I get it if you do! And now, I must admit, I've run past my time and I have to run off...but there's still more events to speak of, so quickly we'll pop over to Queens for Smoke 2013: Whiskey, Cigar & BBQ Festival on Saturday, and The Momo Crawl 2013 on Sunday. With the weather being all muggy and rainy, what better time to take in a train show?! And this weekend there's tons to see at Grand Central--still celebrating it's 100 years. Today and tomorrow there are several events taking place at the station, including displays of old trains, fun for kids, tours, readings, performances, AND there's always great food! If you treat yourself to the Oyster Bar, you'll be partaking in history as well, as it's been around since the very beginning! Right now they're offering daily specials for $20.13 in honor of the occasion. So, get the kids if you have them and/or your camera and come out the Grand Central for a step back in time. If you take public transport to get there you won't even need your umbrella! For more information on schedules and events, check out their site. 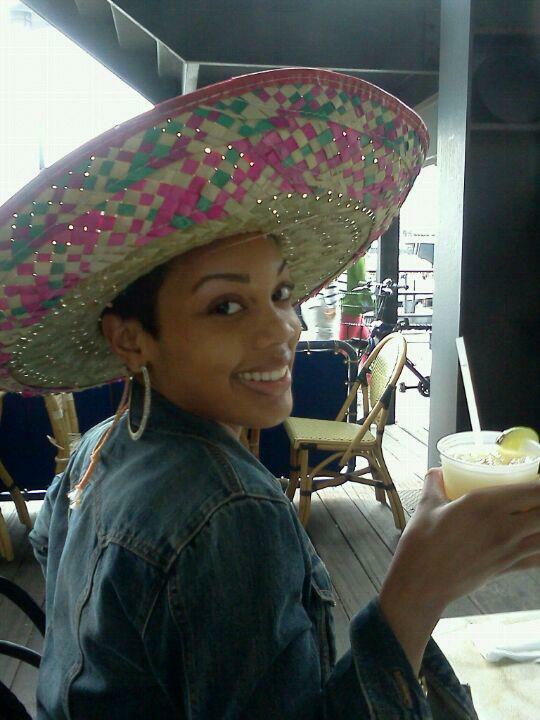 I know that we have CINCO De MAYO coming up this weekend, which is one of my favorites! But I have a catering job, so I'm not celebrating! :P So, for anyone else that's not partaking in Tequila drinking, OR you are just interested in checking out things on days that aren't Sunday as well...you might want to check out the Food Book Fair, happening this weekend in Brooklyn. DUH. Rundown NYC made a mention in a recent email about this "comi-con for foodies" and I knew I should pass the info along. 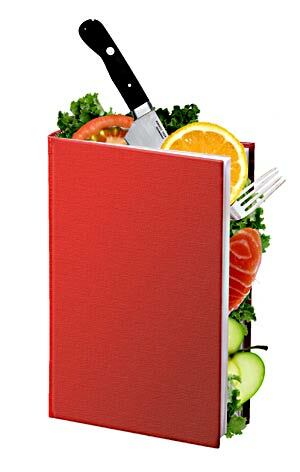 I myself am looking for some novels that will take me places outside of a kitchen my that's neither here nor there. If my head was in another place right now I'd definitely be scouring the streets of ol BK for foodie fun and brain eats...in book form. It looks like there's gonna be a bunch of fun events as well, that would be worth checking out for sure. So if you're looking for something different to do this first weekend in May, check it out! MAY your Spring be Flavorful! 1. It's my birthday month! I was born on May 29th and I share that honor with my cousin, Dana who's exactly 1 year older than me, and I take this time to remind her of that fact every year! We also have the same birthday as that beloved President, John F Kennedy. So, clearly we're destined for great things! Last year was a big one for me. I hit 30 and celebrated at one of my tour stops, Souvlaki GR, in the Lower East Side. They've got great food, wine and a perfect atmosphere for such an event (it's designed to make you feel as though you're in the Greek Isles, you're inside, but feel like you're outside)! This year, I'm thinking I might try a small family dinner at Feast and then get someone with outdoor space to throw a party with grilling and beer involved. If you want to be that person, just let me know! 2. That brings me to my next favorite thing...outdoor dining and drinking and grilling and drinking and YAY outdoors! May is a great time to have some outdoor brunch or waterfront margaritas or throw a party that includes meat and booze and me! There are all sorts of great opportunities to take advantage of NYC and the outdoors and it's al fresco dining. I love wandering around South Street Seaport...more on that soon, going to the beer garden (I know there are several, but the best is the Bohemian Hall in Queens, sorry guys), or playing drinking games on a friends terrace, deck or patio! I also enjoy going to street fairs, which is cheap and always a good time, here's a listing of those, for you to check out! 3. You might notice the Cinco de Mayo at Grand Central event in that listing, which brings me to the next great thing about May...all of the various Foodievents throughout the city. I've brought up a few already in this blog, and I will highlight more as the weeks go. But for now I will mention one that's going on tomorrow. As I use Grand Central on my winter tour I figured it was appropriate to point out The Flavor of Midtown, which is taking place tomorrow from 7-9:30pm in Vanderbilt Hall. You can check out more information and link to buy tickets here. There will be more than 30 restaurants and food and drink vendors there for you to sample from, including some standouts, like Murray's Cheese, Magnolia Bakery, and the historic Grand Central Oyster Bar & Restaurant. You Can't Buy Love, But You CAN Buy me This Sandwich! Well I don't know about you, but one of my favorite food things from New England is the lobster roll. For that reason I like to include a little sample of it on a tour when I can...yeah that's right come on a tour and find out! and let's get some meat! Stop it with your dirty mind! Not THAT kind of meat...although, this woman does have needs! :) I'm talking about some tasty, homemade smokey meat...some fall-off-the-bone, melts-in-your-everything, kind of meat (ok that got dirty again). It's with great pleasure that I announce Delaney Barbecue's expansion into Manhattan with SmokeLine, a satellite smoked meat outpost conveniently located on the High Line in Chelsea at W 15th Street! The cart will be opening up later this month, and will feature many of the same proteins you've come to know at BrisketTown, with a few new surprises! Expect a very rib-focused menu, some new sandwiches (fried cheese and brisket anyone? ), an expanded pie menu (featuring pies by Rachell Roth, our new rockstar baker), and a made-to-order soda bar! It'll be right smack dab in the middle of the park, along with some of our longtime friends like Blue Bottle Coffee, and a bunch of other new and delicious acquaintances. It'll be opening April 18th, and will stay open until October 18th. I'm unbelievably excited to be able to bring our food to the island. I think that the High Line is a great opportunity for a new comer like us to wade in the water, meet a ton of new hungry folks, while continuing our goal of feeding New York the finest damn 'cue around! Keep your eyes and ears open for developments as we build out our cart and get ready for the launch. I'll be posting photos and updates to our Facebook page (like us, plz), and will blog about the progression on our website. Thanks as always for all the support. PS: Everything at the cart will be vegan. April Fools! Copyright © 2013 Brisketlab, All rights reserved. You're on this list because you signed up at http://brisketlab.com Our mailing address is: Brisketlab PO Box 110072 Brooklyn, New York 11211"
Sum(mer) Upcoming Foodievents in NYC! I say summer since it's 80 degrees out today, but it's still spring and surely we'll feel it again in a couple days! But until then I will enjoy this outdoor weather, perhaps with a sangria in hand? Either way, Spring in NYC is sooo filled with great offerings that I wanted to point some things out that perhaps you're missing! Drink well, feel good & do good with Citymeals on-wheels Young Professionals Committee. They're having an event on April 18th, to raise money for the great organization that gets food to our New Yorkers that aren't as able to get it for themselves. So schmooze and network all while raising funds for a good cause! You might not physically feel better in the morning, but your soul will at least! The event takes place at Brother Jimmy's on Lexington and 31st from 6:30-8:30pm, and you can find out more, as well as the RSVP info by checking out their Facebook Page. What's that you say? 80 degrees still isn't hot enough for you? Oh well then you should definitely head on over to the 1st Annual NYC Hot Sauce Expo! Mark your calendars for April 21st and/or 22nd from 10am - 6pm in beautiful Brooklyn's East River Park! There are VIP tickets available, events of all kinds, including a variety of competitions, but probably the most exciting will be the Screaming Mi Mi Awards! There are dozen of vendors all ready to get you hot & sweaty! Surprise yourself and your tastebuds with a great spring day activity! May's Messy GoogaMooga! 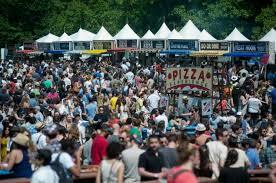 I know that it sounds like gibberish, but it's a big ol' music and food festival that happens in Brooklyn. Last year was year one and it turned out to be quite the cray cray experience...or so I read from the tweets, I figured I would give them a year or so to figure things out, but I'm sure they've learned a lot from past mistakes! There will be lots of food, beer & wine to indulge in...I'd just recommend getting there early! So if you're interested, you can buy your tickets online now, for any or all days: May 17, 18, 19. Me? We'll see...perhaps I'll be creating my own food festival in a more reserved tour on the UWS feel free to join me if that's more your speed. You know the Highline...what about the Lowline? 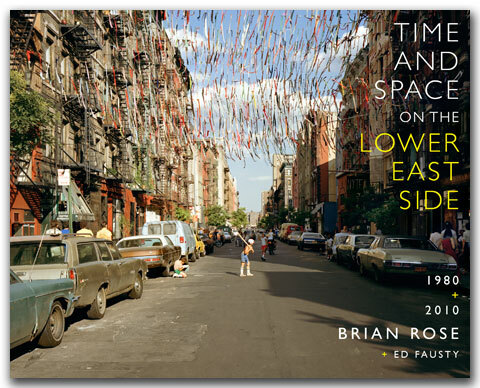 Well this is a fun project that's looking to create some great park space underground in the Lower East Side...yep UNDERground! I think it's all pretty cool and so do a bunch of other people out there, and you can learn more at one of their upcoming April events! Check out the details for April 12, 22nd or 25th at their website and feel free to look around while you're there and make a contribution if it's a project you can get behind as well! One of the things that I wanted to direct your attention to comes from one of my fave foodie charities, Hot Bread Kitchen. Along with the great programs they have to teach the underprivileged culinary and business skills that they can bring with them into a career to support themselves and their families, they've also got programs to help good food upstarts. It's called HBK Incubates, and they're accepting applications until May 31st. So there you have some spring activities to put into your calendar and in the meantime you can try sneaking into Whisky Live tomorrow, or just wander around the park--remember the beach may be calling your name, but they're not open for you yet! And as always, you can check out one of my tours for a very fun way to spend your day outdoors! Spring & Summer Pretty Please!!! While the thermometer still isn't quite where we'd like it to be, I'd say we're getting there! And with the dawn of the more happy-making seasons it's time for some new tours!! Plan your days and make some of mine by joining me on my newest food tours! First up is the Spring Tour! I'm bringing you to the neighborhood that brought me up, the Upper West Side. Long dubbed a "culinary wasteland", it was always a place of family and beauty, even during the city's darker days. But the food finds have finally caught up to its culturally sophisticated inhabitants! With some of the most expensive addresses on the island, we could ponder for hours why it took so long for restauranteurs to realize the built-in customers they'd have if only they took to opening a location uptown. To our benefit though, whatever the reason is, it's peeled away as we welcome merchant upon merchant into this lovely, homey and historical neighborhood! So let's explore some of this new cuisine that's representative of nearly every continent! And while we taste what there is to offer, we'll also see some of that history I mentioned and if you don't know from your own experiences, let me enlighten you on what it was like to grow up in this town. This used to be my playground, but today it's yours as well! Next I've got a Friday Tour that'll cover three seasons! When I worked in the corporate world it was still in hospitality, which basically meant that "Summer Fridays" were never something I was able to enjoy. :( Now that I run my own company, I'm responsible for my own schedule and I'm forcing myself to work for you and for the greater good of the foodie community! OK, so it's nice work if you can get it! Why don't you join me while you skip he rest of your Friday afternoon and we can enjoy some of the goods fresh of the various trucks and vans and carts that want to feed you in lower Manhattan? Our truckin' culture has evolved to produce some of the best food that you can find in the city...all available from the back (or center really) of someone's oversized vehicle! Food carts started out of necessity, but they've turned into mini-restaurants created out of passionate entrepreneurs with good taste and smart business sense! Forget that "TPS report" and join me for a more fun Friday activity! I'll tell you about that summer that I worked in the heat of my friend's own Feed Your Hole Truck...you know, while we feed our own...mouths! Lastly, for now is the Summertime Tour! Shortly after St Patrick's Day I was challenged by a former schoolmate to try his corned beef...literally. I'd said it was gross on a friend's Facebook page and he said he could change my mind. When I discovered that he was one of the owners of Court Street Grocers, I decided to take the trip out to Brooklyn and try his house-cured meat (I know, it sounds a lot dirtier than it was)! "Would you like a Reuben?" he asked..."Yes, please!" And sure enough, it was THE best one I'd ever tried! To top it all off I finally had perspective on a neighborhood I knew of, but wasn't at all familiar with and as soon as I walked out of the subway I was inspired. I was originally considering a more midtown neighborhood for the summer tour, but then it hit me that Brooklyn would be a much cooler place to be--in all senses of the word! Not only is it a pretty and quiet neighborhood, perfect for a summer walking tour, but it's rich in immigrant history, culture and a variety of foodstuffs that range from your local corner store to some high-end dinner hot spots. So on this tour we'll explore it all...and just think--without Facebook, it would never have been possible! Ok, not so much 'plans' as I have a lot of work to do to get this LAUNCH PARTY all settled for you come Wednesday Night! Either way, I can't do these things, but if I could I would...so why don't you go in my place?! 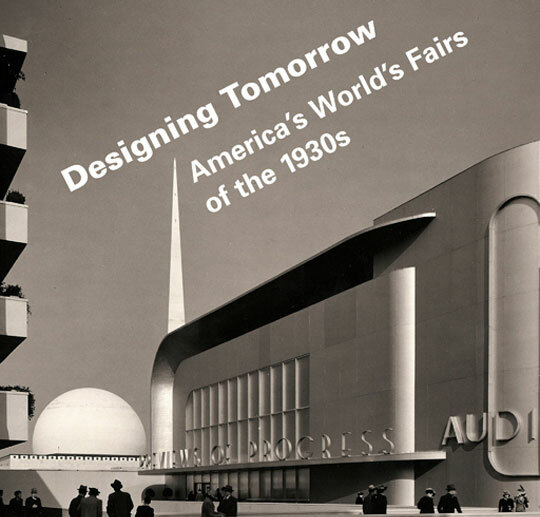 "Saturday, March 23 at 3:00 pm Designing Tomorrow: Gallery Tour Jessica Lautin, Andrew H. Mellon Post-Doctoral Curatorial Fellow and local curator for Designing Tomorrow presents a tour exploring how the six American world's fairs of the 1930s sold the promise of a better future. Design was the key: form married function, and everything from cars to toasters and coffee pots had a sleek and streamlined look that suggested increased efficiency. FREE with Museum admission! For more information please call 917-492-3395" or check out this site. You might wonder what a foodie is doing posting about some gallery tour on her site, but the truth is these fairs were huge for the culinary world at the time. There were so many innovations in cuisine and different types of ethnic foods introduced to the American public in a way that it never had been before. It was also life-changing for many of the people who came over from their countries to display their foods, who then ended up staying here and opening up show locally. Of course I haven't even touched on how big of a deal these fairs were in the tech world, which has always had a tie to the culinary world...whether people like it or not! :) Trust me--you'll want to check it out! And then there's this can't miss dinner, for those with the $ and the time! 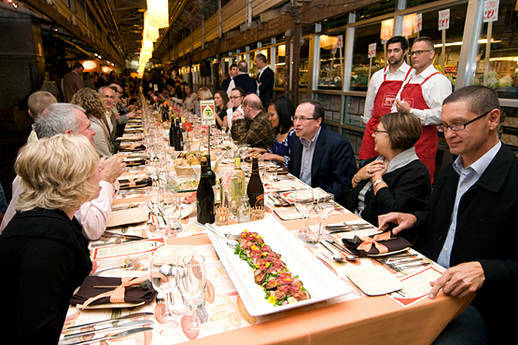 Please join us for the fifth annual Sunday Supper at Chelsea Market; a lavish, family-style dinner in the 400-foot concourse of the iconic, artisanal marketplace, located in one of NYC’s hottest neighborhoods. More than 20 chefs from near and far will create a lavish, family-style meat serving 250 guests, seated at 3 rustic, communal tables..
JBF Member: Your membership level will dictate the number of tickets you are entitled to at the member rate. Reservations are non-refundable. No Exceptions. Please note we will not be mailing tickets for this event. Tickets for this event are no longer available online. Please check with the box office for more information." Given that yesterday's was rather lengthy and somewhat more personal, I figured I would lighten things up a bit with some of the internet's most useful resources on what to do this Spring in NYC! From Time Out New York, we have a lengthy list of 101 Things to do in the Spring. Now, if Spring for you is just an excuse to throw a couple back and forget about the rest, then Time Out New York's list of the Best Seasonal Bars may be more your speed. And, in the spirit of seasonality, a new restaurant has opened up and may be worth your while, checking out! I know I'm intrigued by Feast's ever-changing menu! Lastly, in case you had any doubts...Time Out New York has answered the question of Why NYC is the greatest city. Now I'm off to go out into the cold, cold Spring day and force myself to enjoy the first ice cream that I see...or I'll be at Upright Citizen's Brigade Theater...hiding away from the near-freezing temperatures! Originally I was going to just re-post this list from Eater NY, which only arrived in my mailbox a couple weeks ago: 50 Reasons to Love New York Dining in the Wintertime Yes, it would have been with irony, since today's the first day of spring according to the calendar. But instead I had the type of day that one wants to share with people, so now that Fun Foodie NYC Tours is officially registered with the City of New York, you can read about the whole experience as recapped on the Subway ride to my next adventure and eventually home. It's not even noon and it's already been an interesting day. And exciting day to say the least. Just over three months ago I built my website and started my own company; Fun Foodie NYC Tours. However, as a Sole Proprietor, there's little ceremony involved for a tour company that requires little but your own brain. Now that I'm moving forward, I realized it was time to make it official. Official so I don't have any hiccups with insurance, if I want to open up a bank account or credit card, or perhaps I'll one day grow large enough that I'll want to become incorporated. 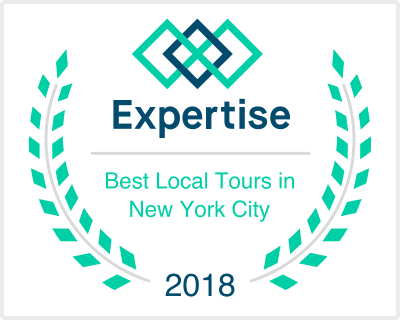 Either way, after a successful Indiegogo campaign, I decided I needed that stupid expensive paperwork that made it true, that I was in fact operating a business called Fun Foodie NYC Tours. Using the additional funds raised from earlier-mentioned campaign, I got my paperwork together (one of which I needed in the end of course), and hopped on the train down to 60 Centre Street. 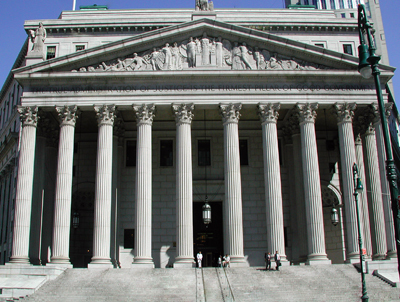 The Supreme Court Building--you know it, because it's always the one they use in Law & Order, and every other courthouse exterior shot, because it's so old and grand that it screams to be filmed, it says: "Important things happen here! Take notice!" I thought I had been inside before, but when I was inside it didn't look familiar at all. It's quite a spectacle inside. Not just because of the security (I'm a jaded NYer...I expect nothing less), but mostly because it's such a representative of our crazy mixed up government. So great in scope that it's somewhat intimidating, yet at the core, it's comprised merely of everyday citizens surrounded by old books. And, that last part is actually pretty literal. Not to mention the disconnect from what you're told one day and what you actually have to do the next. Let's explore the end of that, shall we? So, on the helpful nyc.gov website there are all these tools for small businesses...including a survey or two you can take that will compile a checklist of forms and steps you may want or need to complete in order to get set up. 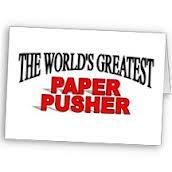 The #1 item on my list is the Doing Business As, or Certificate of an Assumed Name paperwork. This is what led me to the messy Supreme Court site, where the offices of the county clerk are held. Of course, on this screen I'm told that the office is room 161. After I go through security, I have to check my camera, that I even forgot I had on me...damn it, now I just remembered I had it walking around Brooklyn and didn't even use it! What a waste! But getting back to the civic district...I ask the nice armed guard where to go for room 161 and he points me in the direction, where I find out that it's not the right place and I'm to go to the basement for room 109B. Sounds ominous...and it kind of was. When I got out of the elevator, I thought it would only be more appropriate if I the lights were flickering as they were already dimmer than just one floor above. I walk passed some other gated room and find the proper hallway to my left. I enter a room that greets you with copiers and very old, dust-covered books that probably hold the business certificates for City Hall itself! At first I'm excited by the romanticism in the history of the place, but then I meet my (less-than-happy) civil servant who will guide be through the rest of this process, and I'm brought back to reality, with our monotonous, I'm sure, exchange. Eager New Business Owner (Me): I'm here to register my business. Civil Servant: Located in Manhattan? Me: Yes. CS: Do you have the form filled out? Me: Um...(begin pulling out my paperwork) CS: Is is a corporation? Me: No, sole proprietor. I have something, uh (find what I'm talking about) CS: No, that's not it. (hands me a pc of scrap paper) Write down the name of your business here (as I do so her hands me another pc of paper) and go up to the first floor coffee shop where you can buy this form, then bring it back here without filling it out. Me: OK, thanks. Of course, I think to myself, this is all apart of the game. While there was mention online about a coffee shop on the 1st floor, I didn't see it when I came in so I figured it wasn't real. But when I got back up to 1, I simply asked my old friend in the Kevlar where I could find such a place and he pointed me to the direction of the tucked away shop,, and assured me I would not have to go through all those scanners again....although that could possibly be illegal and if you think too much about it, rather worrisome. But seeing as how I wouldn't be spending too much time there, nor did I have any evil plans, I figured what the hell. Inside the shop the legal forms are advertised, but not displayed. I tell the grayed gentleman which one I need and take note of the signs that snarkily ask you to please pay the cashier for your goods before leaving "let's pretend I'm in business to make money" or something like that. Once I have my form I head back to the elevator rotunda for my lift to the ground floor records room, and my own personal civil servant (too far?) is there to guide me through the complex process of filling out my company name, given name, and address for both. And as he goes to get the paper notarized by a colleague and make copies, I take a moment to absorb my surroundings. I realize that I'm standing in what is the prototype office for caged up government employees. I watch the man who's dressed in jeans and some sort of print-screened shirt as he goes through the motions of pushing my papers through the system so that I may continue to live my life the way I choose to live it, with freedom, flexibility, and joy. I'm obviously drawn into the world of "I wonder". I remember that one of my fellow interns at the Upright Citizens Brigade Theater works as a Court Marshall, and I wonder what it is that this guy does on his free time--maybe he's an artist? In a band? Fellow comic of sorts? Either way, this is not his happiness. And I see the pictures around the room of co-workers that pretend to enjoy one another to pass the days by, and as I'm moved to the cashiers cage to pay $120 for a couple pieces of paper, I notice the family photos she has to serve as reminders of the life beyond these walls. Now, I know that I'm making a lot of assumptions here. I know that there are plenty of people out there that don't care about the same things I do...but that's why most of those people tend to live in the suburbs. Seeing these things in, what I believe to be, the greatest city in the world, is like stepping into an alternate universe. Now, this is not my first time being confronted by government employees or government in general, but given the circumstances and location everything was just that much more heightened. Making my gratitude truly sincere when I was handed my receipt and told "Good luck" by a professional money-taker/well-wisher. The words were appropriate for so many reasons, but most importantly as the whole experience reminded me of just how lucky I am. On the way out I shared the elevator with my CS man and a few other characters in the building as they politely laughed at one of their stale jokes that I'd say could be heard at any office...but it was about bullet-proof vests, so maybe not. I watched him go to the little coffee shop as I walked out the door and thought how much I wanted him to at least get a coffee outside so he could get some of that mood-lifting vitamin k. But then I figured for all I know he could actually hate the sun...so maybe he's happier to work in a dungeon of records. After documenting my accomplishment, I moved on to my next stop--Carroll Gardens, where I was fed and inspired and further sure that I had just spent a very important $120. I hope you've Enjoyed the reading as I now get ready to leave my apartment, that's apparently above a sound studio, to attend a networking event in Chelsea. In an email from Justin Ferate I learned about the following exhibit, which should be very interesting. Going through time in New York's Rich History. Now if you're looking for something a little more liquid...try one of the many events for NY Drinks NY! Our up and coming Wine regions have a lot to offer, including the country's oldest winery (Brotherhood--where I'll be on Saturday, March 30th!). This month you can check out a wide array of events that celebrate these regions and their fermented grapes! Check out the line up and see what works for your calendar! 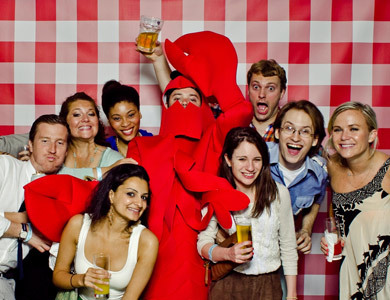 Lastly: Annual Lobster Roll Rumble Tickets go on sale TOMORROW!!! You're gonna wanna have your finger on the mouse so you can hit refresh until you make your purchase, cuz these babies will go fast! And if you want to get in my good graces you'll buy me a ticket too! PRETTY PLEASE! The link isn't up until the email goes out, but you can see the save the date until it is. "Tasting Table's 2013 Lobster Roll Rumble Mark your calendar: Tickets for the Lobster Roll Rumble go on sale next Wed., 3/20. Twenty lobster rolls from around the country will duke it out for the title of America's Best Lobster Roll. " UPDATE: Buy your tickets today! And don't forget...I'll happily take a VIP pass, or just a general admin ticket.